Hi there Doodlebug fans! 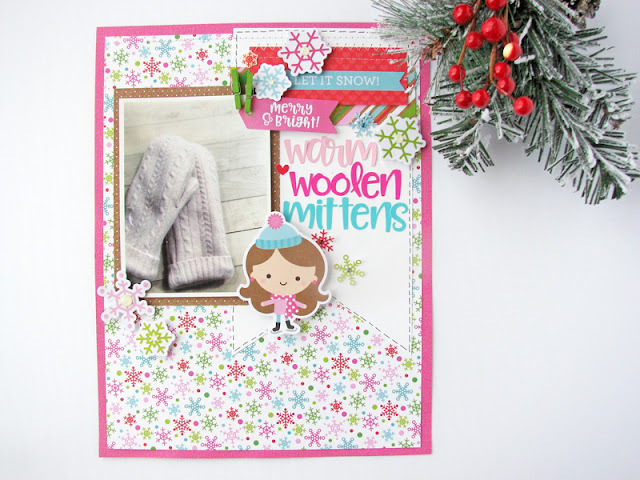 Nicole here to share a new Christmastown project with you! 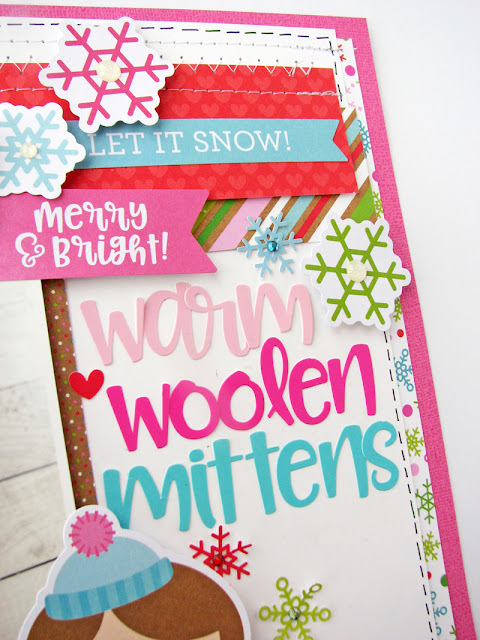 I love that this collection is the perfect combination of winter AND holiday too! I chose to use the Christmastown collection to create a wintery page about my new warm woolen mittens made from a recycled sweater! I chose to back the patterned paper with a raspberry pink piece of Doodlebug Designs cardstock and layer in several papers from the Christmastown 6x6 paper pad. 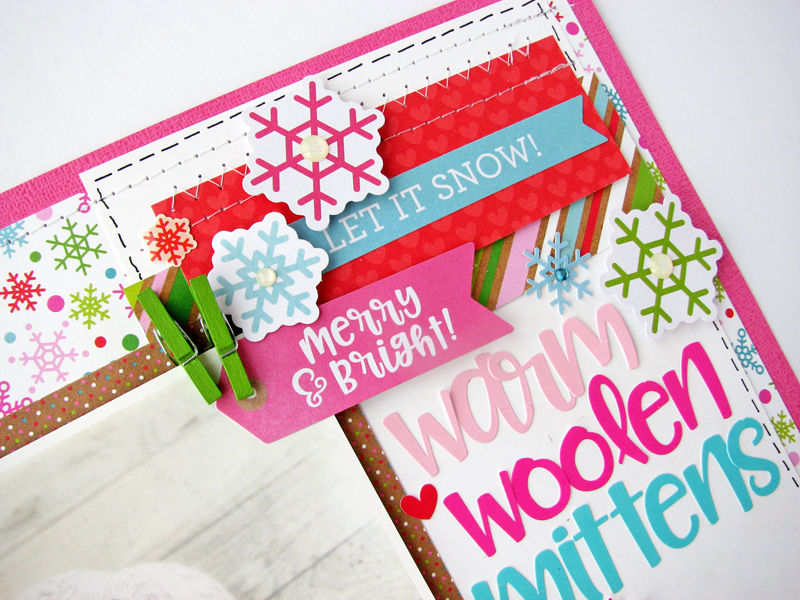 The Christmastown Odds & Ends were a prefect addition to the page; I added a few snowflakes and banners to add some finishing touches to the page! Love the stitching!!!!!! Such a fun layout!